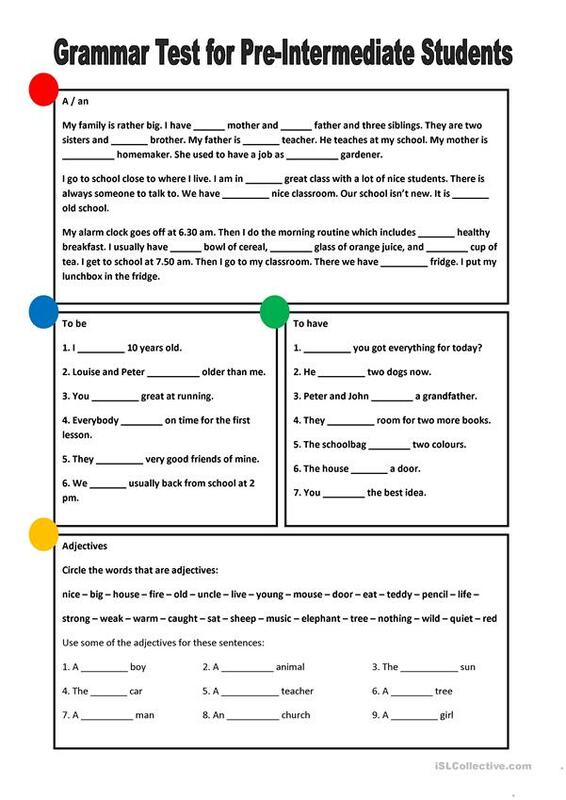 A ws that can be used as a grammar test. It has four exercises: a/an, to be, to have and adjectives. This downloadable printable is recommended for elementary school students and adults at Pre-intermediate (A2) and Intermediate (B1) level. It is a valuable material for working on your class' Reading and Writing skills.